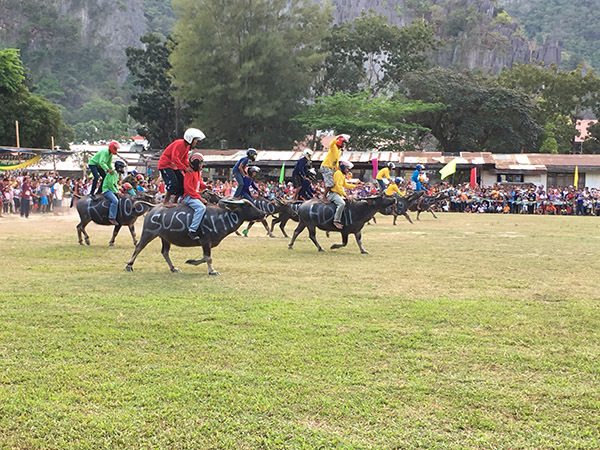 Every March the town of El Nido hosts a festival with a farmer’s market, foot races, pig catching, and carabao racing. 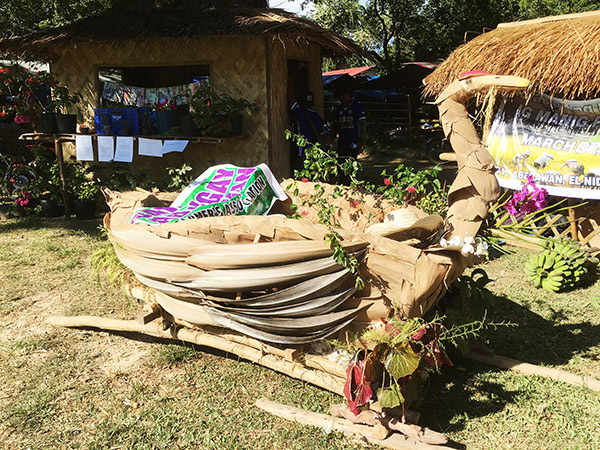 This year each barangay (district) created a float made entirely out of natural materials. 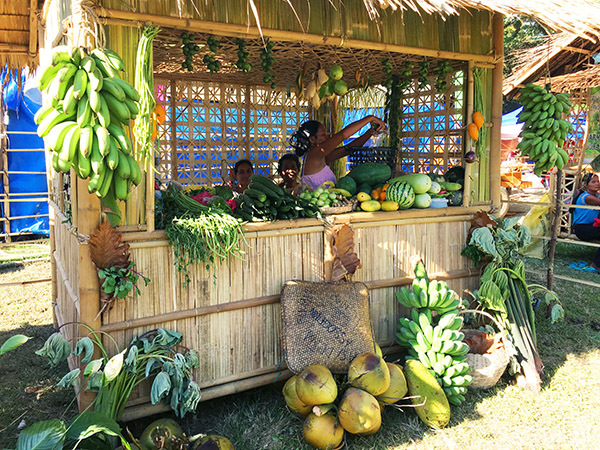 Fresh produce was sold by each barangay. We picked up some green lettuce and star apples. 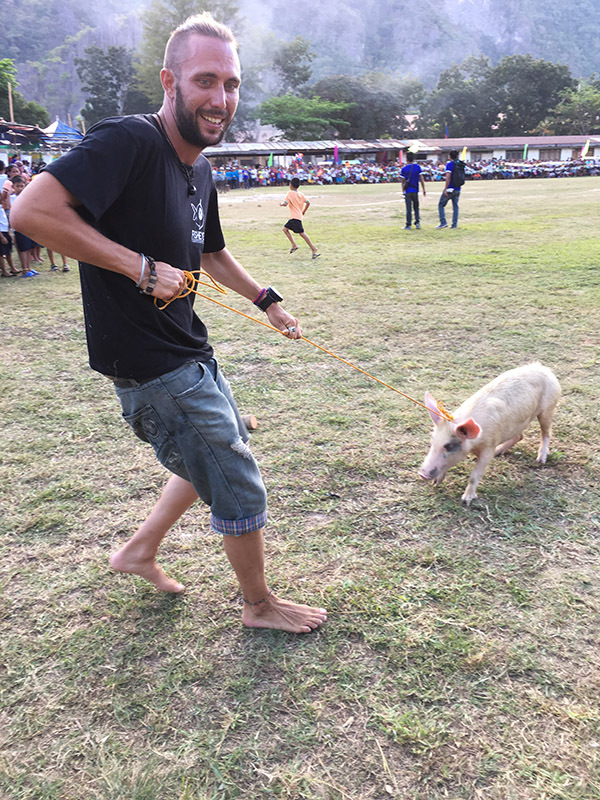 There were foot races for locals and for foreigners, followed by pig catching. Last year they oiled the pigs to make them harder to catch, and I think they should have done it again this year because the pigs were caught pretty easily! 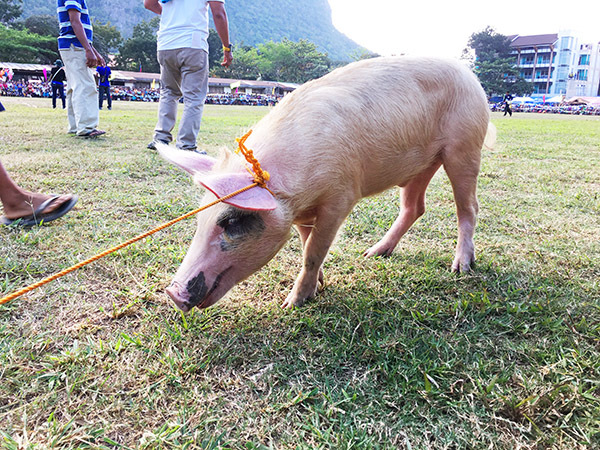 The foreigner winner (a photographer at Fish Eye Productions) had no place for a pig, so he sold it to a local. 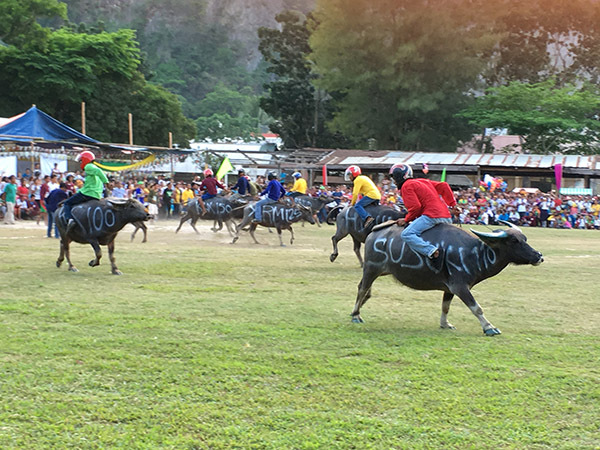 Then it was time for the highlight of the event – carabao races! Left: My son sat on a carabao! 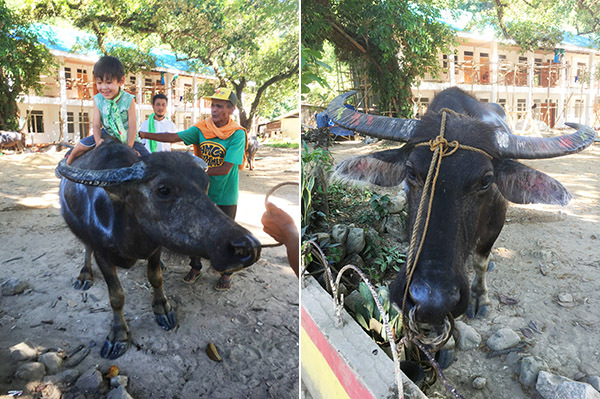 Right: The carabao from New Ibajay that won the most races. 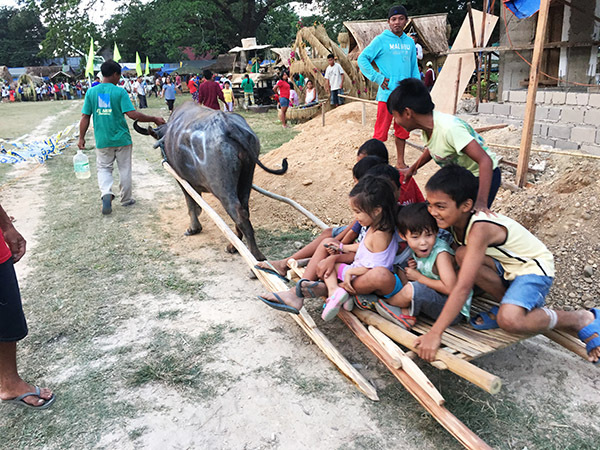 My kids even got pulled by a carabao when the races were over. 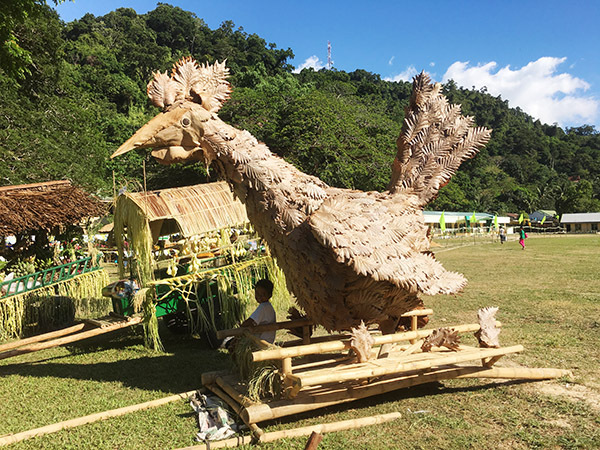 If you’re in El Nido in early March, this is definitely a fun event to catch at the local elementary school field. 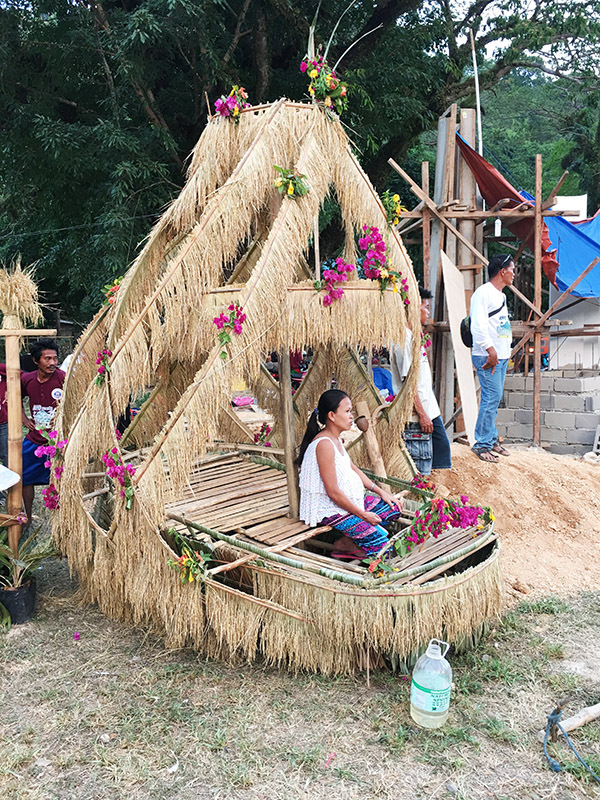 Keep in mind that most events in El Nido start late, so it’s always a good idea to arrive at least an hour later than the start time.